Palm Partners is an established rehab center situated in Delray Beach, Florida, that strives for the treatment of addiction and other mental health issues. They offer various programs and services that are designed to treat addictive behaviors as well as help patients adjust back into daily life as soon as they are better. Due to their appearance on A&E’s reality show entitled Intervention, Palm Partners is one of the most well-known treatment centers in the area. 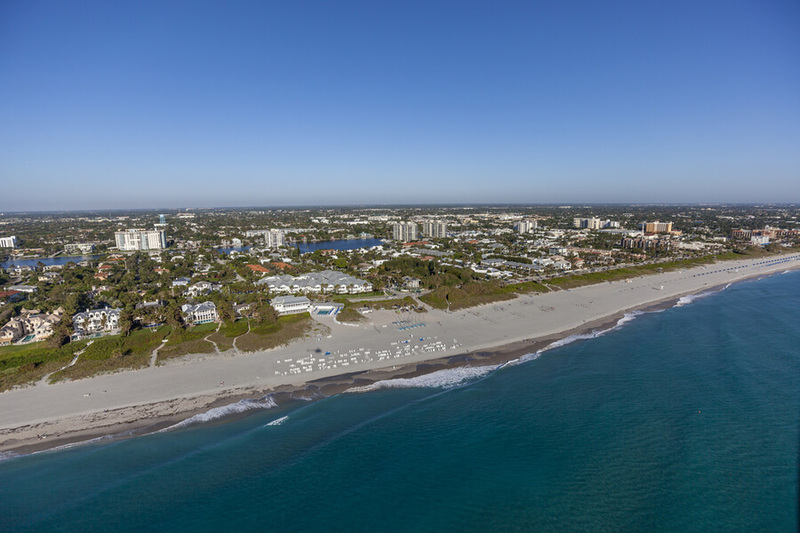 Aside from their good reputation with clients, Palm Partners also attracts a lot of potential patients with their warm, relaxing location at Delray Beach where recovering people can relax and approach treatment with a refreshed attitude. The accommodation at Palm Partners consists of a shared two-bedroom apartment that can fit two to three residents. Clients are moved to these apartments after they finish the detox process at a supervised facility. Clients that dwell in these apartments are tasked with their own cleaning, cooking, and grocery shopping with a food allowance of $75 per week. In the detox process, however, meals are prepared for clients by the facility to make sure they are healthy and a complement to the treatment process. This free-living, residential approach at Palm Partners makes treatment easier and less restrictive, unlike other rehabilitation centers. Before the client enters a residential facility, Palm Partners gives a detoxification treatment that lasts from four to ten days. In this stage, clients are supervised by specially trained staff who will monitor each person’s progress. Other adjunctive treatments in this stage include acupuncture, medication, massage sessions, and specially prepared meals. The facility offers detoxing services for almost all addictive substances such as alcohol, suboxone, Ambien, cocaine, meth, heroin, and other illicit drugs and prescription medications. The IIP of Palm Partners is done for patients with a high risk of experiencing complications from treatment. In this type of treatment, patients are supervised by medical staff on-site. After the detoxification process, patients are transferred to a residential treatment program facility wherein they can choose to stay from 30 up to 90 days. The IOP at Palm Partners helps patients who have a place to stay in a nearby area or a place of work that is near the facility. Patients with comorbidity that is related to their substance dependence can be fully treated for both at Palm Partners. Patients who suffer from eating disorders like anorexia nervosa and bulimia nervosa can be treated with the facility’s specialized program. Palm Partners recognizes the stress and pressure of these jobs. As such, they also provide treatment for people who are in these career fields. In conjunction with Palm Partners’ treatment programs, they also offer therapies and special programs that aim to supplement medical treatment. Patients who have completed treatment at the facility can avail of the family program to help them, and their families adjust post-treatment. This is a 14-day retreat that helps individuals gain more control of their life and make it more productive. This therapy option helps patients manage pain and recognize a new purpose in life. Palm Partners offers a therapy option for patients in need of trauma resolution. This therapy is patient-centered and is tailored for each person’s individual needs and experiences. The admission rates to Palm Partners costs $19,500 for a stay of 30 days in their residential facility. The Admissions Department works with patients’ health insurance to provide the most reasonable rates possible. Copays will be collected accordingly. Peter A. Harrigan is the CEO of Palm Partners and is a pillar in rehabilitation medicine and a leading Behavioral Care provider. Mr. Harrigan is dedicated to providing holistic treatment for addiction recovery and rehabilitation, which shows in the quality of the facility’s programs. Thomas G. Beley has over 25 years of experience in the addiction and mental health field. Hailing from multiple respected universities, Mr. Beley how applies his research and expertise to the treatment of Palm Partners’ patients. Dr. Rick Seeley has been a practicing psychiatrist for over 30 years. He is certified in Psychiatry, ABAM, and Addiction Psychiatry. He is also a consultant for the Impaired Professionals Program, a dedicated person for recovery, and an excellent educator and coworker to his colleagues and patients. Dorris Harrigan is the co-founder and Managing Director of the facility. She, as a member of the leadership team, has various roles in the company wherein she assists in multiple departments, including Finance and Admissions. A graduate of the University of Florida, Mrs. Dorris Harrigan is a great facilitator and a guiding light for staff and colleagues.